I love these new nail art pens I have been using from www.presentsformen.co.uk. They are great to create new looks and spice up your nails. This is my first time using nail art pens and I found them easy to use, I hope with more practice I can draw neater with them but as I don’t have a steady hand anyway they don’t look the neatest. 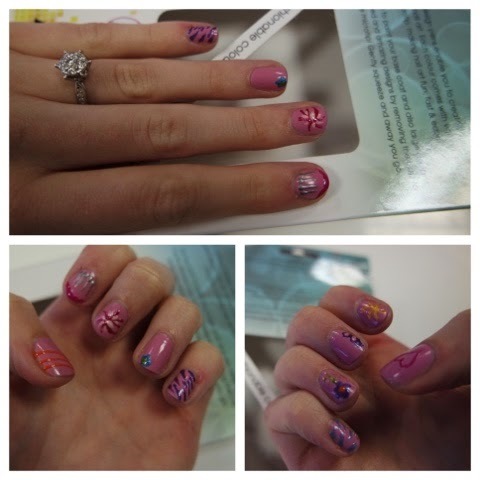 I think I did a good job though as a first attempt, I also got my friend to do one hand for me! The pack comes with various different colour that you can use as a normal polish or use the fine nib to draw with, it also has some great design ideas. 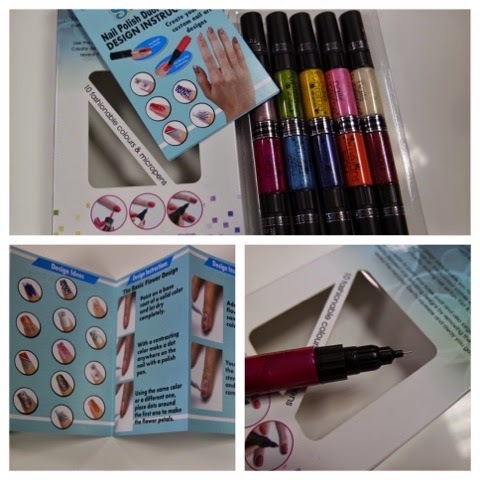 As well as this super cool nail art kit, the website offers unusual gifts for women and men. They have such a great range on their site, even things I didn’t know existed so definitely check out their top 100 quirky gifts. Previous Article Sick of having dry lips?